We're trying to get back on track, after getting lost in the CCPS CD collection for a spell. We forgot we had a paid of Rayovaq CDs in there and were getting our quiet-loud-quiet-loud-quiet on for a bit too long. So anyways, we've pulled ourselves out of the CD-encrusted rock of the late 90's, and are happily re-familiarizing ourselves with the cassette resurgence of our current times. 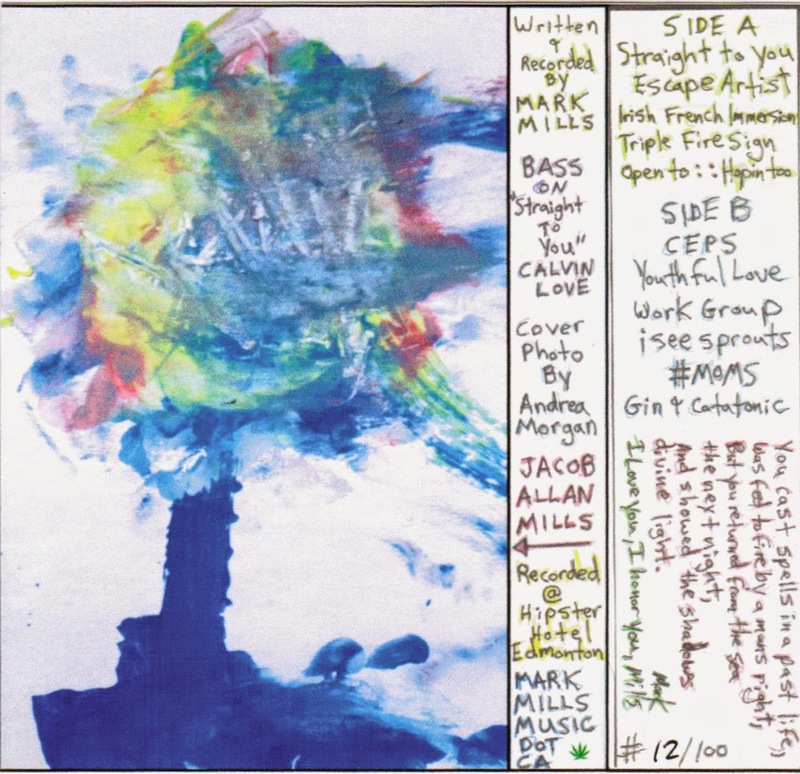 This is a happy little tape that Mark Mills put out a couple of weeks ago - it's a continuation of his celebration of love through dance (or is that his celebration of dance through love?). Apparently this is a limited edition cassette available at his shows which may no longer be available. But you can grab it from the Mark Mills bandcamp.